The word safari comes from the Swahili language and means "journey". Travelling brings you away from the busy life and you will enable you to find distance and recreation . New scenic impressions, foreign cultures and other people can help you to reflect your own life from a different angle. Experience the quietness of the vast African bush landscapes. Meet people, who have learned to listen to the nature and exchange views about wisdoms and values in life by the campfire. Sharpen your eyes for the essentials, enjoy the silence and regain new energy. 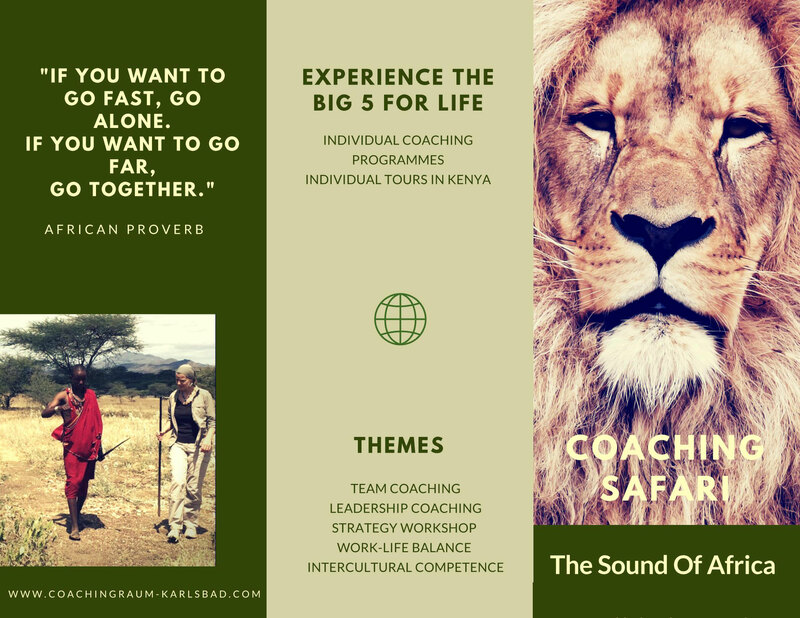 You can book the Safari to Kenya as an exclusive trip for companies and teams. The program and progress of the tour will be tailored to your needs.